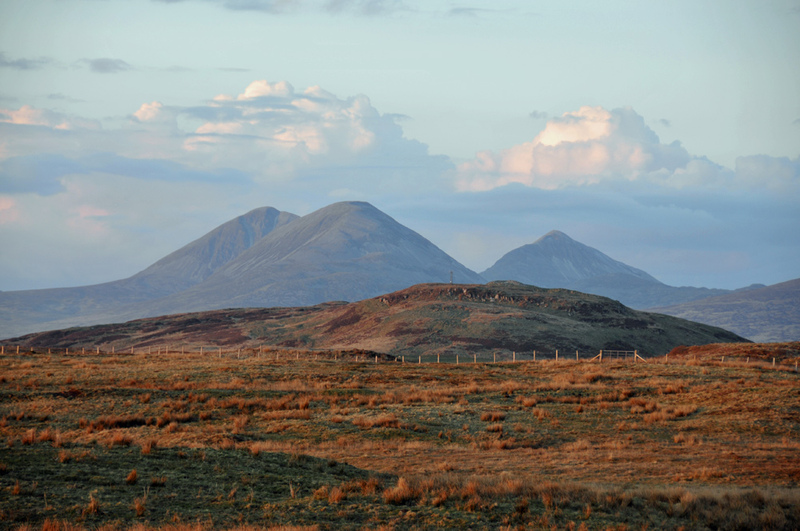 An evening view of the Paps of Jura at sunset. Not entirely sure from where on Islay I took this picture, I think from somewhere on the Glen Road, around Knocklearoch. This entry was posted in Cloudy Weather, Landscape, Repost, Sunny Weather, Sunset and tagged Islay, Knocklearoch, Paps of Jura by Armin Grewe. Bookmark the permalink.